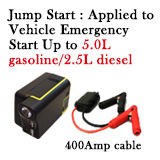 Versatile Jump Start with Power Bank Saving stalled vehicle !! Charging hand-set, pad, laptop on moving ! !Power supply for car device on moving ! 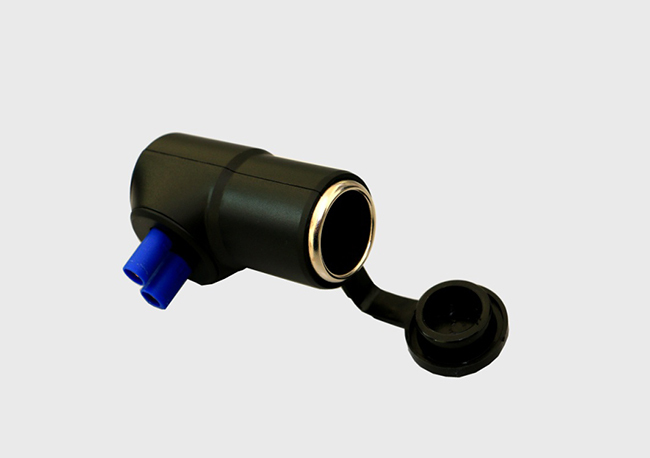 !, VPB-3A12-400 - Hotware International Co., Ltd.
*Support portable 12VDC car power jack for all car electronic devices for convenient outdoor & outcar use. 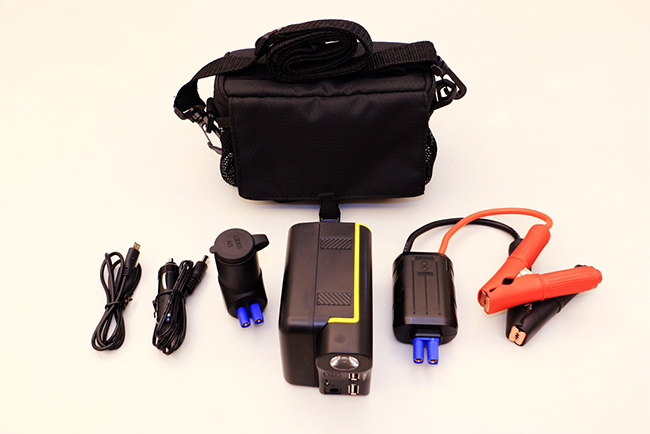 *Support car electronic devices like: air compressor, vacuum cleaner, DC12V car fan, LED lamp; charger, warnning lamps, DC12V impact wrench for tire-change…..etc. *Using with DC-AC inverter for portable AC power suppy for outdoor convenience. Manual-operation Output time 20 ± 2 sec. • Up to 300- 500A loading current and 450-750A peak. 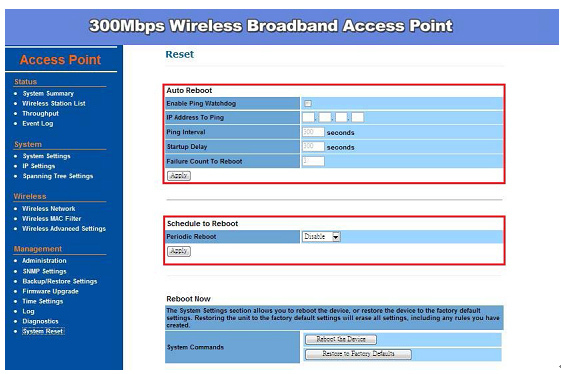 • Inverse output-pole-connection protection with alarm. 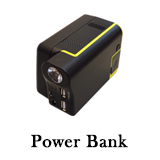 • Auto safety check and alarm while the rescue power pack is fault. • Support LED aux signals, easy in operation. 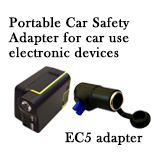 • Spark-free while connecting to vehicle battery. • Manual car-booster model designed. Turn on/off Press and hold “Operating switch “ button for one second to turn on: power is off automatically when standby time exceeds 180 seconds. Manual forced-output After boost, press and hold “ Operating switch “ button for three seconds to activate the forced power output for 20 seconds. 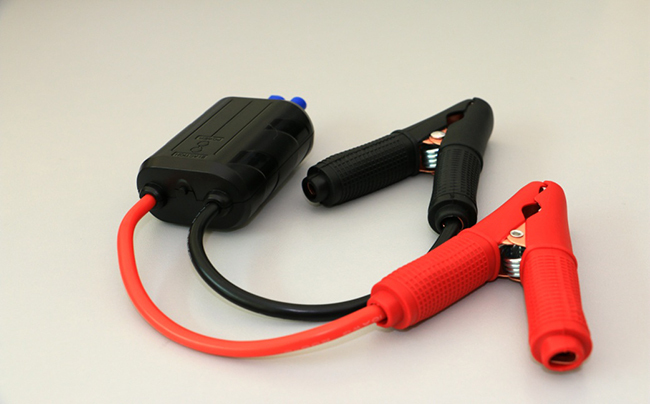 In action Indicator Green LED is lit on automatically after output clamp-cables connect to car battery correctly or manual mode is initiated. Battery-power-check indicator (PJS-300R is excluded) Show normal/weak/low statues by green/yellow + green/ red-flashing light respectively. Alarm Red LED is lit with buzzle sound when wrong pole connecting is made or product is in fault.